British brass winder mechanism. 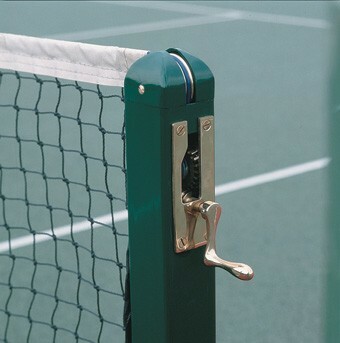 This mechanism fits our complete range of tennis posts. Supplied complete with detachable brass winder handle and retaining screw. If purchasing a replacement winder mechanism for existing tennis posts further details are needed to ensure this winder will fit.